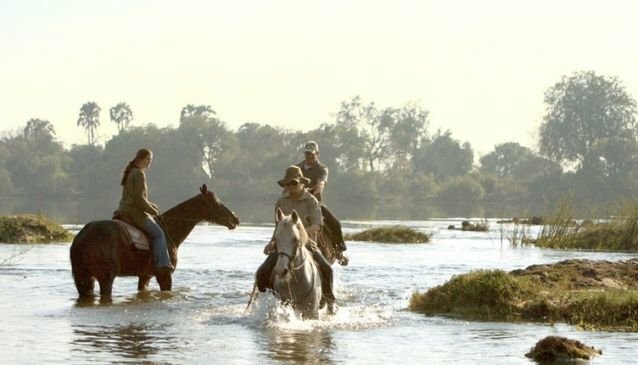 Horseback safaris for both novice and experienced riders. The groups are taken out separately so that riders of similar experience are together. There will be opportunities to trot and, depending on the guide, to canter. Clients who only wish to walk should notify their guide. Novice riders are mounted on suitable horses. Experienced riders should be able to fully control a horse at a canter, not just hang on. The horses are more spirited and not suitable for novice riders. Experienced riders should also consider our two-day, four-day and six-day horse safaris.